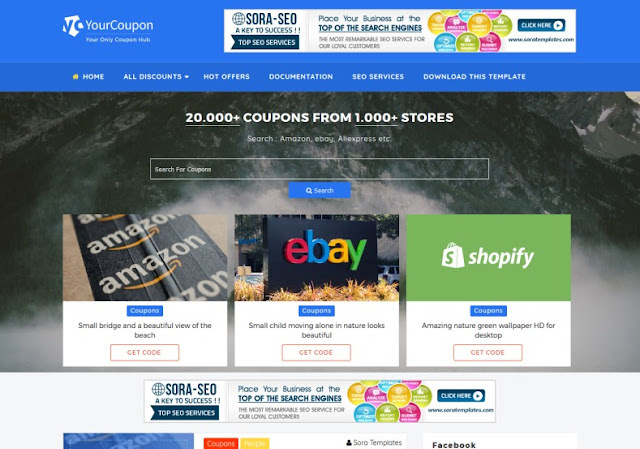 Your Coupon Blogger Template is the only blogger template available on the internet (made by Sora) which is truly made for coupon blogs, it has some amazing features that makes it perfect for any type of coupons, deals and discount related blogs, Publish your deal, discount and coupon directly into homepage without any hassle. Your Coupon is equipped with various of widgets which will help you to publish your blog more professionally. Your Coupon is the most complete deals, discounts and coupons blogger theme.